The English monarch Queen Anne succeeded William III in 1702 and with it brought a more restrained attitude to politics as well as an alternative influence to design and style. During her reign architectural forms developed a relationship between plain surfaces and how they are set against each other; using deflection and reflection to angle the light to create texture. This European inspired concept allowed simple pieces to stand out and convey an elegant height by emphasising the vertical lines and encouraging the eyes to look up. 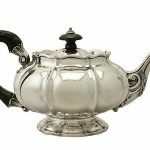 As heavy lines destroy pure lines the previously used bold cast work was diminished and the simplicity of delicate strapwork and enhancing cast finials were exploited. The rule of thumb in this period was substantial constructions opposed to lavish embossed and repoussé-work. 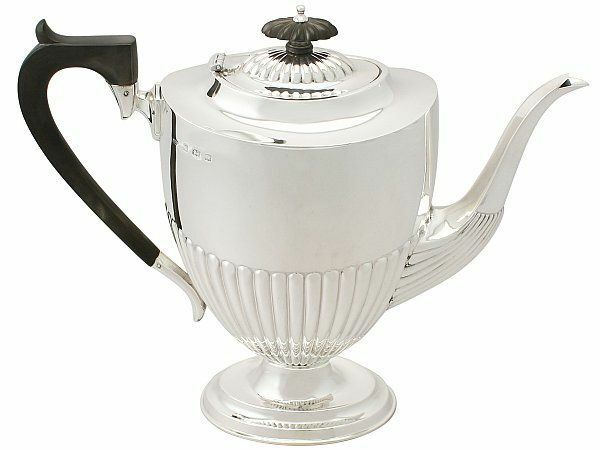 When looking through our inventory this simplicity in style is evident in the plain fluted tea services and panelled teapots, these pieces are only crafted in the Queen Anne style, but we are delighted to include a few original period pieces, such as a Britannia standard silver strawberry dish and tankard. 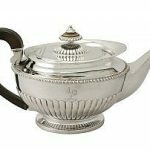 Britannia silver was the perfect substance for those items crafted in the early 18th century as due to the lower base metal content (at 958/1000 parts silver) the items were subtly softer, so simple ornamentation was recommended such as heraldic engraving and the simplistic embossed fluting. 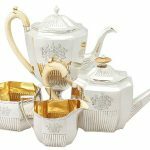 In the category of Queen Anne on our website I did spot two very similar coffee pots, both in the Queen Anne style, but one has a minor twist. The Victorian era brought about its own flare and this has been incorporated with the classic Queen Anne to create something a little more flamboyant. Until I looked a little closer and did some research on Queen Anne I was the first in the business to say I was not a fan; I have nothing against the Queen herself. 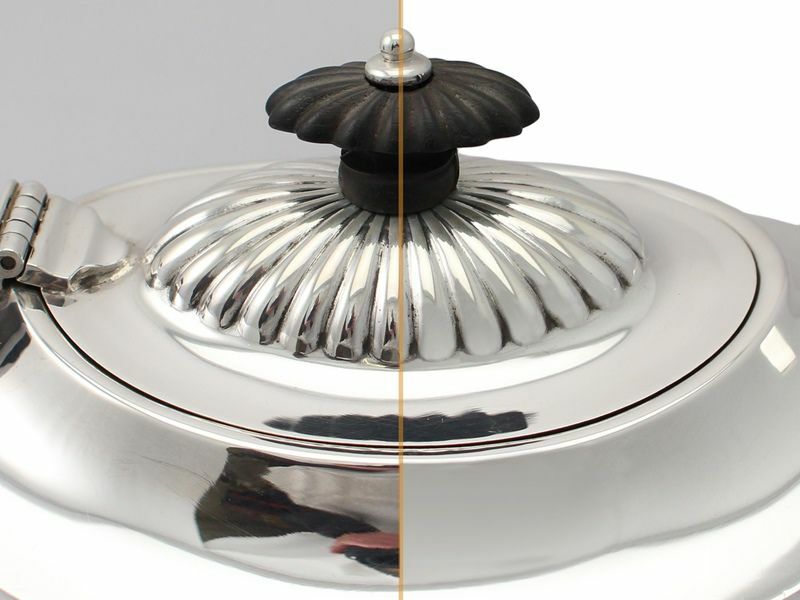 As the silver content editor at AC Silver it is my job to take the raw photographs, make them presentable for the website and this is all achieved by removing the reflection and the background of each image. 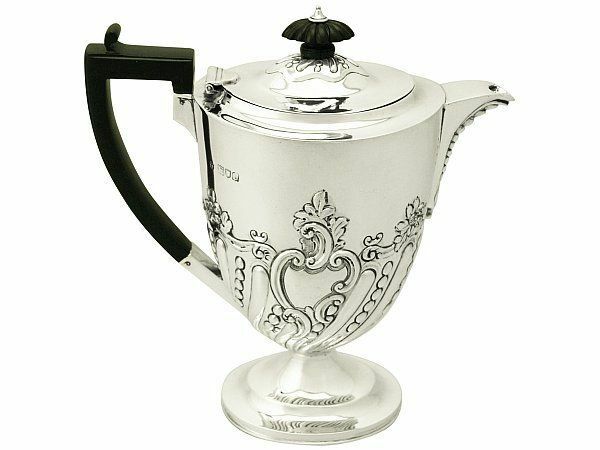 Unfortunately for me, the well-structured deflection and reflection of light on fluted surfaces means my job becomes more of a challenge and this developed my internal dislike for these impressive examples of antique silverware. The influential Queen Anne saw the union between England and Scotland in 1707 and reigned as the Queen of Great Britain and Ireland until her death at the age of 49 years. With this the ornamental French-bred Rococo style emerged and with that comment, I feel the complex details of that history are a tale best dished out another day. 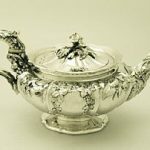 Do you have a favourite period of silverware? Or my preferred question, do you have a least favourite? If so take a page out of Queen Anne’s book, reflect and join us together by sharing. 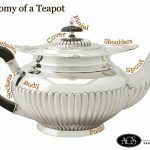 I was hoping to find here a source of replacement parts for Queen Anne silver teapots, in particular, the fluted black knob on the lid. 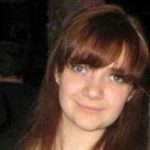 Would you be able to direct me to a source? Hi Sylvia, Your local silversmith would probably be able to assist you with this. Sorry for the delay in replying we have been having issues with the blog software.